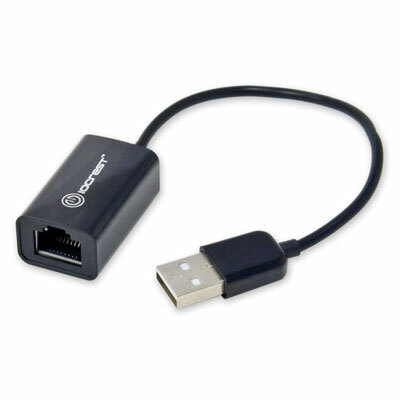 To connect to a wired network on your Windows 8 tablet you need an accessory: a USB cable with a traditional network jack on the end. You probably won’t need it often, but if you’re trapped in an old-school hotel that offers only wired access, it’s a lifesaver. You may find a hotel that offers only wired Internet access. This worked fine a few years ago because all laptops had network jacks. To connect with the Internet, you connected a network cable between the hotel room’s network jack and the jack in your laptop. A few seconds after plugging in the cable, your computer sniffed out the Internet connection and connected automatically. Although few people still use those network jacks, they still work. And they’re often faster than the hotel’s overcrowded Wi-Fi connection. Look for the network jack near the desk in your hotel room. Sometimes it’s built into the phone. During power outages, phone lines often provide the only Internet source. You can not only stay up to date on the emergency, but you can also tweet about your slow dial-up connection. Another solution for dealing with wired networks is to carry a portable router often called a pocket router. Plug the pocket router into the hotel room’s network jack, and set it to Bridge mode. The router then creates a Wi-Fi network that fills your hotel room. It’s quite a wallet saver in hotels that charge per device for Wi-Fi access.